Thus we should conceive of a continuum of organic movements, or organic processes, where the movements (processes, or reaction patterns of interpretation and expression) at one end of the continuum (upstream) could be called physical processes, and at the other end (downstream) we would have the complex and sophisticated movement patterns which I call mental processes. In between these ends there are movements, or processes, which we may chose to describe as more or less physical versus more or less mental, or we could say that they display both physical and mental process features. But nowhere on the continuum would we be able to draw a definite line of demarcation between various types of organic movements in an attempt to define what are to be regarded as mental processes versus simple physical movements. I refer to this continuum of mental processes as the Lamarckian continuum. Thus 'mental processes' are those ever more and more complex and sophisticated, reentrant and high-speed neural processes. In many sections of this book, I address the ideas of materiality vs. immateriality; this I have also done in regards to mental processes. I stress that mental processes are material, but the outcomes of the processes, our cognitive ideas, are not material and rather represent reflections of the material processes. Somewhat simplifying I suggest comparing physical and mental with a picture and a film. To grasp this we should remember that a film merely represents a series of pictures projected in rapid succession showing the objects in successive positions slightly changed so as to produce the optical effect of a continuous film in which the objects move. When the film is run quickly through a projector the reflections of it appear to us as something living as opposed to the individual pictures which are still. The film has only one dimension at a time, the fast projection of the series of pictures, but the mental processes are multidimensional and combine at any given time the effects of a variety of simultaneous processes which are in constant relations of feed forward and feedback, reentry, remote signaling, etc. In view of these considerations, I am not introducing the film metaphor as a scientific analog to what 'mental' should be taken to be, but rather as an aid to put us on right track on how to conceive of these issues. - I establish cognitive reflections (including thoughts) as immaterial; I also stress the immateriality from another point of view namely, from the point of view of the behavior that cognitive reflections give rise to. All human behavior cumulate in social practices; these social practices, or the very behavior as it is observed, serve as stimuli for our cognition. 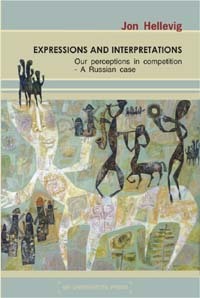 These stimuli are also immaterial, this whereas the behavior as such is material, but the behavior reflects expressions of cognitive feelings (including ideas) only by way of symbolizing them; therefore we do not observe (and cannot observe) the very ideas but only the symbolic means by which they are expressed. Already from this point of view the verbal behavior we as observers detect is immaterial inasmuch as it stands for the immaterial cognitive reflections. Yet another consideration adds to the reasons why we should consider the social stimuli as immaterial, this is the fact that we do not take in the behavior as such, whereas we merely form perceptual abstractions of some (often superficial) aspects of the behavior. 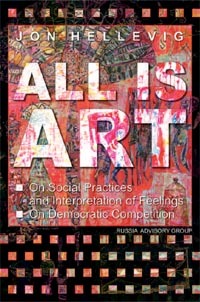 - Hereby I stress that we should not confuse the immateriality of cognitive expressions of ideas with the material traces they may leave behind, such as the arrangements of alphabetic symbols depicted in ink on paper, or buildings and machines and other artifacts, as well as pieces of art. In order to understand the relation between the biological processes of a human and human interaction in society, we first need to form a proper conception of the mental - to understand what we properly should refer to when we say 'mental.' Instead of taking 'mental' to signify the same as what is usually thought of as 'mind' (or some properties of it) we should by 'mental' refer to the neural processes that lead to cognition. This connects with my proposal to regard neural processes on a continuum going from simple physical processes to ever more and more complex and sophisticated, reentrant and high-speed processes. The latter I term mental processes. With the concept 'mental' I thus refer to these mental processes or phenomena connected with them. Thus 'mental' is not the same as the 'mind' or anything else in that metaphysical vein, it is simply a word denoting enormously complex physical, neural processes, which occur in infinitely complex, high-speed, reentrant circuits with feedforward and feedback loops. (Regarding the idea of reentrant processes I refer to Edelman and Tononi 2001 and Edelman 2006). Somewhat simplifying I suggest comparing physical and mental with a picture and a film. To grasp this we should remember that a film merely represents a series of pictures projected in rapid succession showing the objects in successive positions slightly changed so as to produce the optical effect of a continuous film in which the objects move. When the film is run quickly through a projector the reflections of it appear to us as something living as opposed to the individual pictures which are still. The film has only one dimension at a time, the fast projection of the series of pictures, but the mental processes are multidimensional and combine at any given time the effects of a variety of simultaneous processes which are in constant relations of feed forward and feedback, reentry, remote signaling, etc. In view of these considerations I am not introducing the film metaphor as a scientific analog to what 'mental' should be taken to be, but rather as an aid to put us on right track in how to conceive of these issues. In present neuroscience and philosophy 'mental' has not been defined the way I propose here and this has lead to great conceptual confusion. In principle I could have started with an attempt to account for how the concept is presently used in order to orient the reader in the subject, but considering the total conceptual quagmire in which these issues are surrounded I thought it expedient anyway to start right off with what I regard as my correct conception of 'mental.' I shall return below to a discussion of how the concept has been historically understood and employed. My ideas on the 'mental' are in turn based on my conception of organic movement (movements of living organisms and the processes within them; regarding 'movements' I also refer to chapter Expressions). The simplest types of organic movements we may call physical movements (e.g. the movements of an amoeba, or the movements of a cell in a multicellular organism). In animals that have a neural system some of the organic movements are monitored by neural cells (neurons). Neural processes represent organic movements of neurons, or movements within neurons and along the neural pathways. In regards to an animal with a simple neural system we may still conceive of the movements as physical movements, but those neural movements in a more evolutionary developed animal which are processed on a higher level we should call mental movements, or mental processes. We shall bear in mind that as we move to an evolutionary more developed animal the primitive movement patterns are not replaced by the more developed mental processes, rather various movement patterns from the most simple to the most complex occur all the time simultaneously, the lower level neural processes are integrated in the more advanced mental processes (the principle of unity and interdependency of organic phenomena). Thus we should conceive of a continuum of organic movements, or organic processes, where the movements (processes, or reaction patterns of interpretation and expression) at one end of the continuum (upstream) could be called physical processes and at the other end (downstream) we would have the complex and sophisticated movement patterns I call mental processes. In between these ends there are movements, or processes, which we may chose to describe as more or less physical versus more or less mental, or we could say that they display both physical and mental process features. But nowhere on the continuum would we be able to draw a definite line of demarcation between various types of organic movements in an attempt to define what are to be regarded as mental processes versus simple physical movements. On the contrary, instead of attempting a delimitation of the processes we should think of all the processes as intertwined. For example, what we call 'memory' can well be depicted on this kind of a continuum showing how the cognitive ability of humans consciously to remember is just an outgrowth of these same organic movement patterns where at the end of the continuum we have human 'memory' (see chapter Memory). Lamarck was the first one to genuinely understand and document these principles in his Zoological Philosophy (1809), therefore in order to include all his wealth of insight into the concept I prefer to call this evolutionary continuum, the Lamarckian continuum of mental evolution, or shortly the Lamarckian continuum (additionally referred to as the evolutionary continuum). One of the most difficult issues to understand about mental processes is the fact that while the mental processes are material the process results are not material, being only reflections of the material processes. 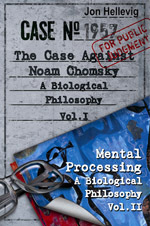 This is why mental processes can conditionally be said to exist - as far as we may postulate a process to exist (I refer to chapter Processes and Concepts for a discussion of the question of existence of processes) - but the resulting thoughts do not exist (this idea is discussed more in detail below and in chapter Feelings, Emotions and Consciousness). Thoughts and all cognition emerge as reflections of mental processes. We may also, for example, say that thoughts represent expressions of reflections of mental processes, or more correctly thoughts and even cognitive consciousness represent merely fleeting reflections of a potentially infinite variance of mental processes. I guess that a physicist could in principle explain these phenomena of thoughts as reflections of mental processes in terms of mass and energy. Most probably the physical explanation would point to such a gradual loss of energy on the border of the process - in relation to the particular infinitely small sub-process presently reflected in consciousness - that the result could be considered of as immaterial. Even when I consider myself to be a materialist, I share with Descartes the idea that thoughts are immaterial. In my conception of these phenomena the immaterial thoughts are simply the results of immensely fast, complex, intricate and sophisticated neural processing of stimuli of which we form perceptions; they have a material origin, but to their essence they are immaterial (see chapter Feelings, Emotions and Consciousness). In any case, what is at stake here is not whether we define 'thoughts' as material or immaterial by applying the rigid conceptual method of either/or; what is decisive is that 'thoughts' cannot be conceived of as material entities, or any other kinds of entities, on the analogy of things.